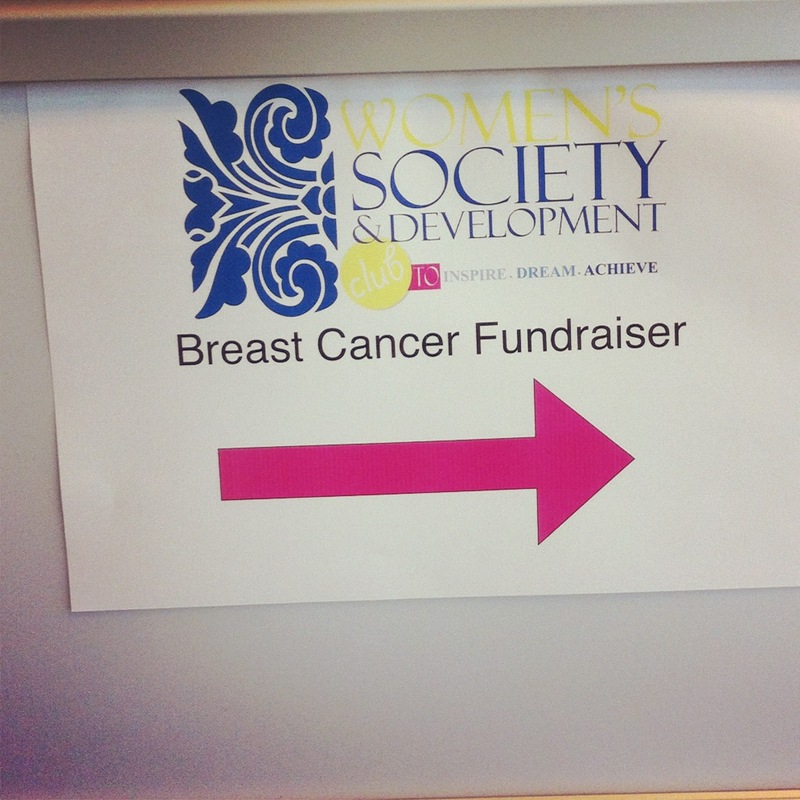 I had a chance to drop in for the Breast Cancer Fundraiser that was hosted by Women’s Society and Development Club on Sunday, and here are some photos I took from the event. It was so much fun and very well organized. Sign at the entrance of the Student Center where the event was hosted. 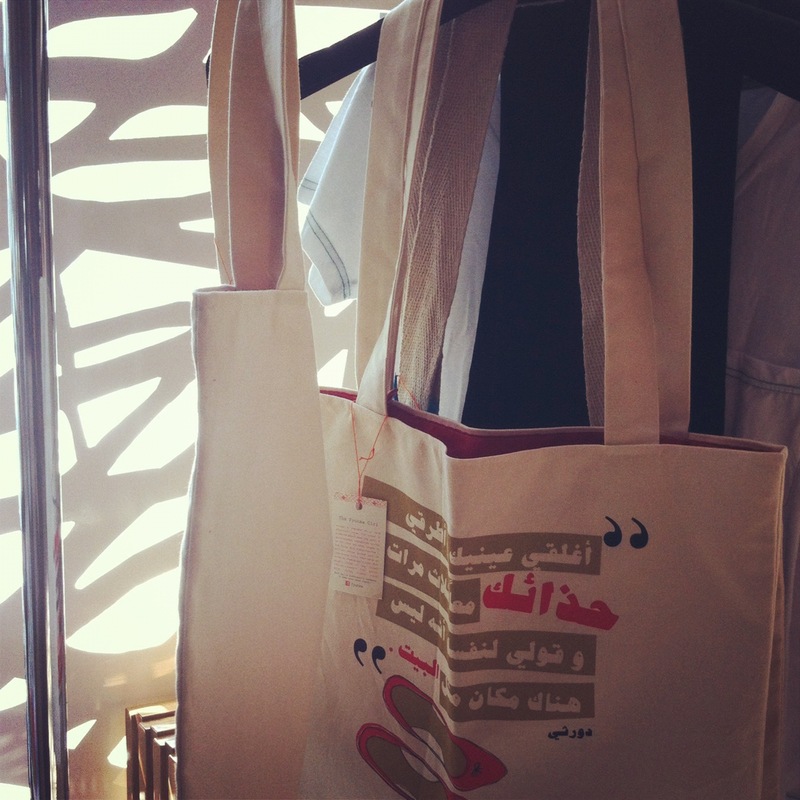 Spotted a few Fyunka totes from Impression Boutique. 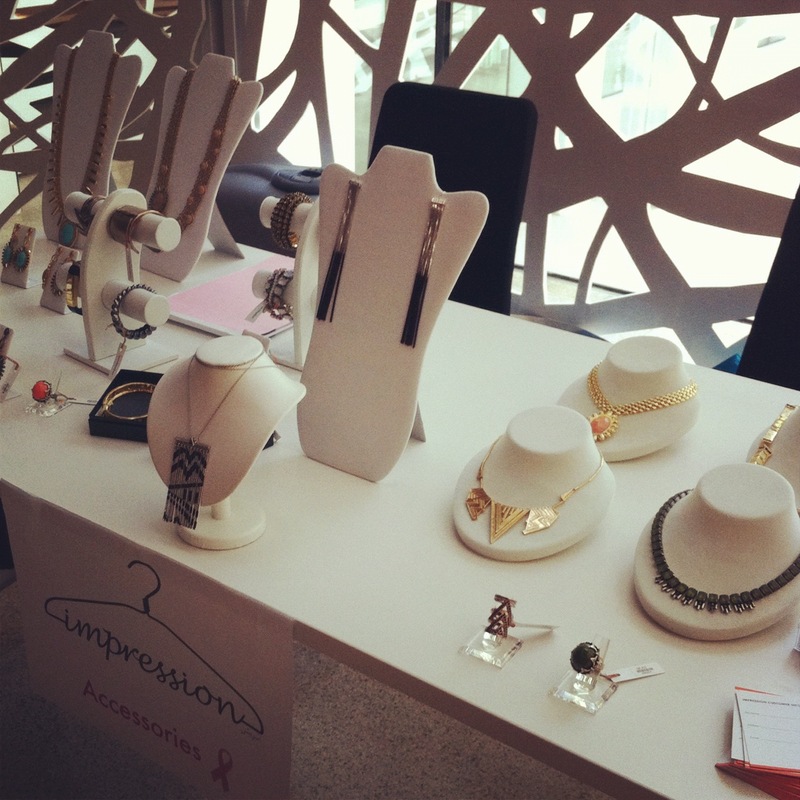 Kharaweesh's stand. Loved their rings. 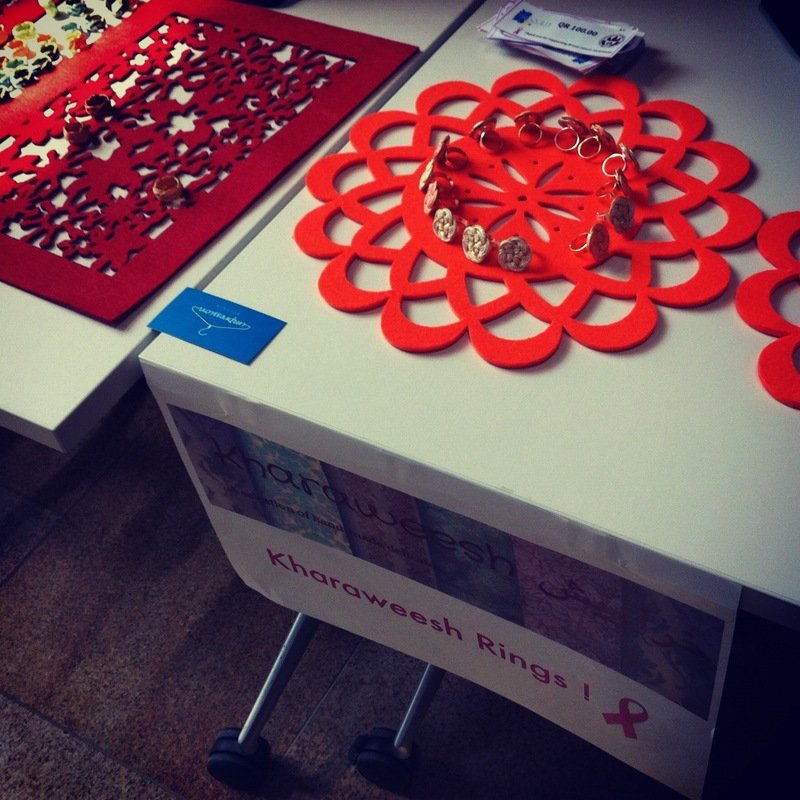 A typical Khaleeji shot of our hands sporting our Kharaweesh rings. 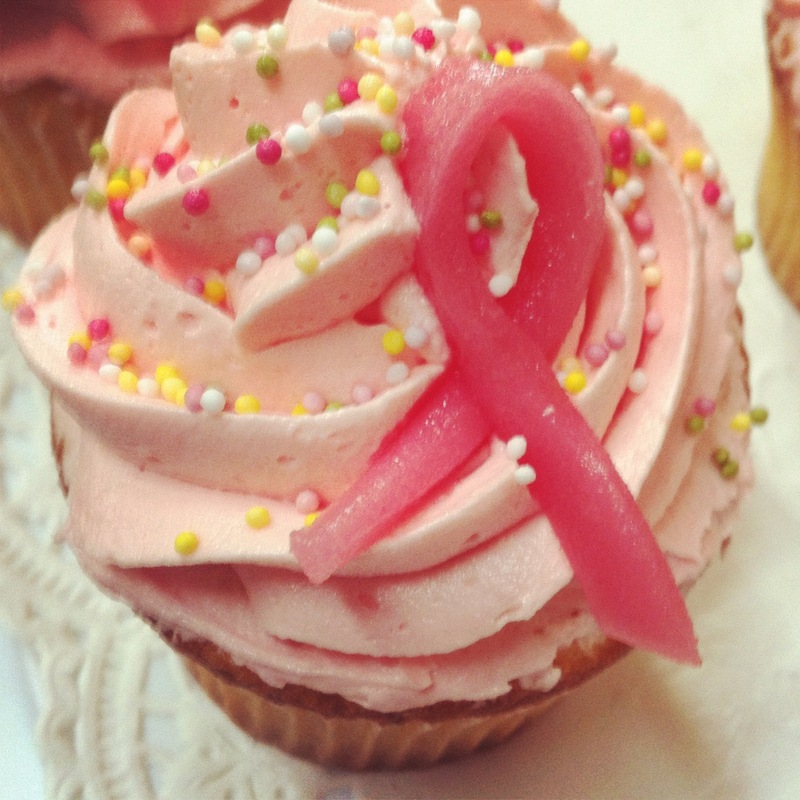 Pink cupcake for the cure! 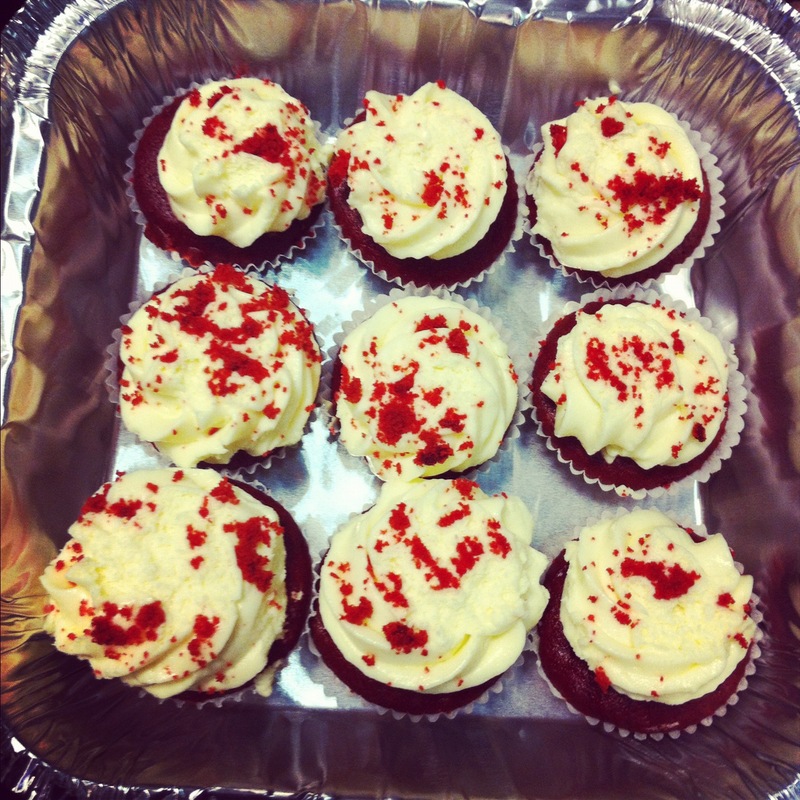 Photos were taken via Instagram. Follow @WSD_GU for their latest news and events.